BROGADOO t-shirts now on sale! 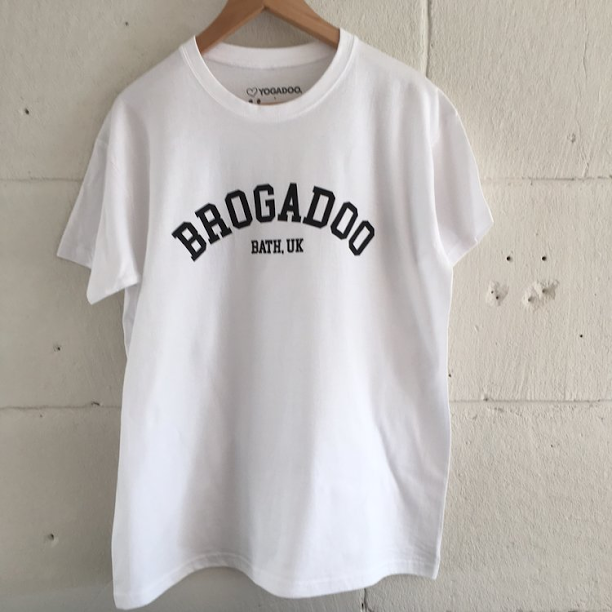 To celebrate the four month anniversary of our Men's only classes, BROGADOO, we have launched very special BROGADOO t-shirts. Four months on, and we still get between 15-17 chaps rolling out their mat every Friday evening (all were complete beginners to yoga). The 100% cotton tees come in black, white and grey and feature the BROGADOO Bath UK statement print on the front and are £15.99 each, as a rough size guide our model, Tim, (size 44/46 chest) wears a Large. So join the BROGADOO ranks and order yours here!